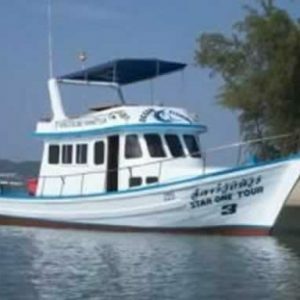 EasyDay’s Krabi Exclusive Private Phang Nga Bay Tour – This popular Krabi VIP tour into Phang Nga Bay will take you to the highlights in Phang Nga Bay avoiding the big tourist crowds. Visit James Bond island & Koh Panyee Village. 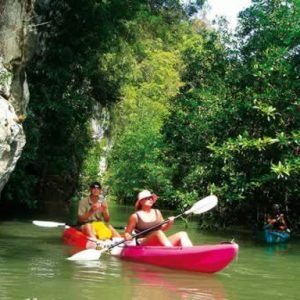 Discover the beauty of Phang Nga Bay. Stop at Wat Sawan Kuha, the famous Monkey Temple. Return transfers from your Krabi / Ao Nang Hotel. Soft drinks and drinking water on board or on our minivan. A delicious set menu lunch at local restaurant. Knowledgeable & friendly English speaking Krabi Tour guide. Sea Canoeing, an Add-On which you can book on day of your tour or in advance (THB 300/person). 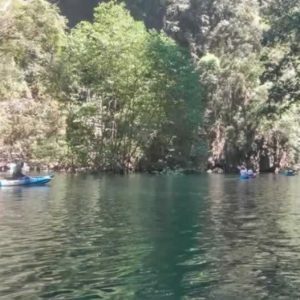 07:30 – Your English speaking tour guide will collect you at your Krabi hotel and you get transferred by Air Con Mini Van to Phang Nga national park where your longtail boat is waiting for you and your friends. 08:45 – Your Longtail boat takes you through the mangrove river out into Phang Nga Bay. Your first visit is James Bond Island to avoid the big Tour crowds. 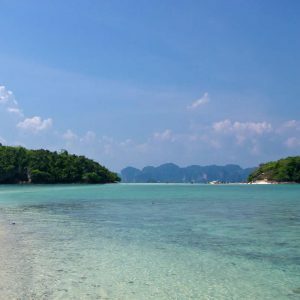 Once all pictures are taken and you ready to move on you will cruise past several other “Hong” islands and stop at some caves on your way to Koh Panyee Fishing village built on wooden stilts. Koh Panyee has a bad reputation as a “tourist trap” but behind the souvenir stands is a real community that has been there for over 200 years with many smiling local faces. 12.15 – Lunch time at Panyee Bungalow Restaurant. The fresh fish is excellent and there is lots of food for all and everyone’s taste. 13.45 – Stop at Sawan Kuha Temple at Phang Nga Province. A famous cave temple with a large reclining Buddha statue inside the cave. 14:30 – Time for heading back to Krabi. On the way, we can add additional stops for sightseeing/viewpoints.